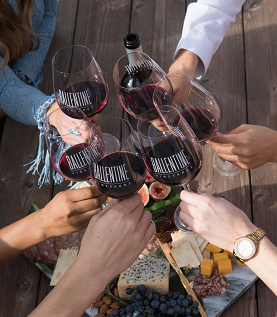 We invite all wine lovers to visit Ballentine, located just north of St. Helena. Our history dates back to 1906, with stories from Founders Van and Betty Ballentine being highlighted in each experience. Now operated by both third and fourth generation family, we believe in the roots of Napa Valley and want to be authentic to the land we have farmed for over a century. Our goal is to share our story and passion with guests, make approachable, quality wine while being responsible and sustainable in our vineyards. Our wine tasting experiences focus on wines that are small in production volume and are only available at our winery. These wines have been crafted by Winemaker Bruce Devlin since 1999. His skills in winemaking are broad, making many varieties for every wine drinker ~ Chenin Blanc, Chardonnay, Cabernet Franc, Petite Sirah, Zinfandel, Merlot, and Cabernet Sauvignon. Visit us to hear our stories and taste our wine on your next trip to Napa Valley. 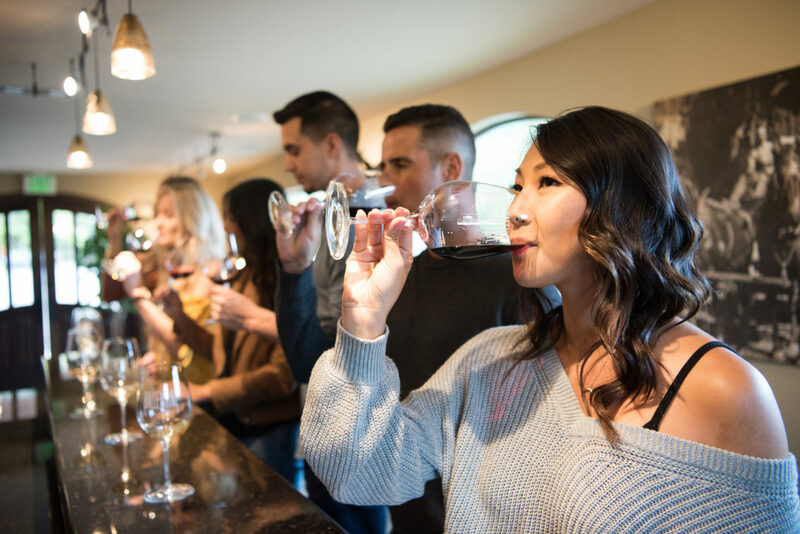 This experience is a casual tasting and is a great last minute option, where you can enjoy beautiful views of Mt. St. Helena and reminisce of old Napa Valley. Hear our story and enjoy a selection of our small production, single vineyard and reserve wines. Price: $35 per person. Complimentary for Club Members. Please allow 45 minutes for this experience. Book your reservation online or call us at (707) 963-7919. Please note parties of 6 or more people are hosted as a private group and must have a reservation. For large parties, please contact our tasting room for more information at (707)963-7919 or submit your inquiry here. Price: $50 per person. Complimentary for Club Members. Please allow 75-90 minutes for this experience. Book your reservation online or call us at (707) 963-7919. These experiences are complimentary for club members. Friendly, well-behaved dogs are welcome.